So I decided that I needed a day to rant and rave about whatever I wanted. Restaurant-related, gluten-related, life-related, I-don’t-even-know-what-related. Whatever. Seeing as this is my blog, I figured why not here? So from now on… Fridays are going to be my I’m going to talk about whatever I want and hopefully you guys will still listen to me day also known as the new Friday segment “In a nutshell.” You see what I did there? I sincerely hope someone gets it. Because today is Black Friday, I figured it is only appropriate to provide you with a shopping guide. Those of us who can’t eat gluten have a tough time around the holidays trying to find things to eat and shying away from the countless cookies, cakes, fruit pies, stuffing, etc. (I say this like I know, which I don’t, because I’ve only suffered through one holiday so far. Two if you let me count Halloween.) So why not buy your gluten-free friend or family member something they can use, something that will make them feel special and that you understand this annoying disease. Thus, I bring you my 2013 Holiday Gift Guide for the Gluten-Free Foodie. Sounds official doesn’t it? This gluten-free restaurant guide keeps the guess work out of going out for dinner at a restaurant. No more having to ask “Is that gluten-free?” and getting the classic response “What’s gluten?” from the wait staff. Yikes. 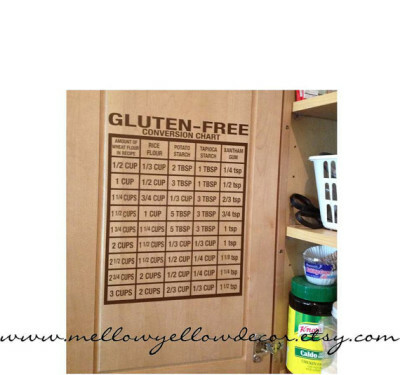 Another one that takes the guess work out of figuring out what’s gluten-free. Take it to the grocery store so you can look up any item and see if it’s gluten-free. No more figuring out what’s in all of those crazy ingredients on the back of the box. 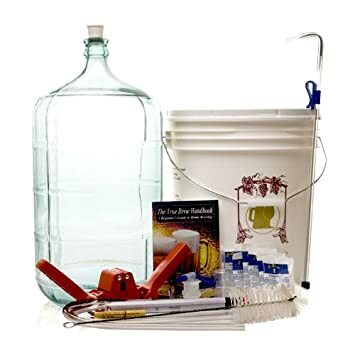 One of the first pieces of advice someone gave to me after my diagnosis was to invest in a food saver. I think it’s a given that as someone with Celiac disease, you’re bound to spend more time in the kitchen. So why not keep your food fresh longer and prevent waste? Boy do I miss the days of throwing in a cup of all-purpose flour in a recipe and not even being aware of how many other flours there were in the world. Now my pantry consists of brown rice flour, xanthan gum, potato starch, tapioca flour, sorghum flour, and the list goes on. In order to make your favorite recipe gluten-free you need a good conversion. Take this basic conversion chart and stick it in the inside of your cabinet for an easy-to-reference guide! For the gluten-free cook in the family. This apron is both cute and practical for the at home chef! In the US, purple is the universal color for allergen-free cooking utensils. Since gluten can get trapped in cutting boards easily, especial wooden ones, it is best to get one just for your gluten-free foods. 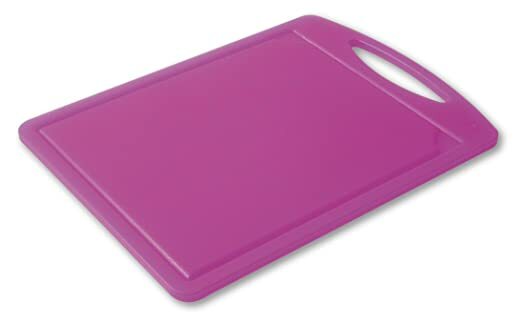 Keep it colorful, even purple in fact, to let your roommates or loved ones know no gluten allowed on this cutting board! If your friend’s kitchen is about to be a gluten-free zone, that doesn’t mean it has to be boring. 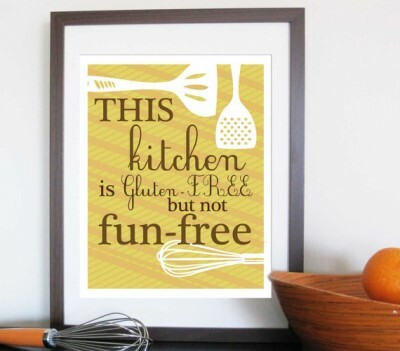 Why not give your friend this adorable gluten-free art that not only makes the kitchen fun but also tells guests… hey, don’t be bringing that gluten up here in my kitchen. 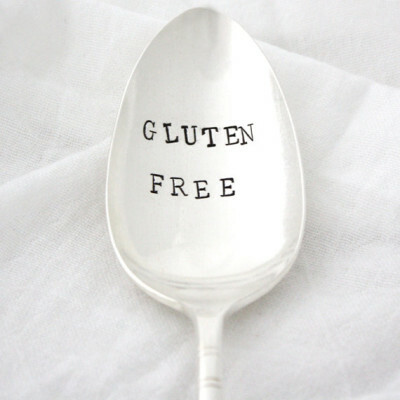 Stick this gluten-free serving spoon in your dish to let partygoers know that your dish is gluten free! There are also variations for vegan, vegetarian, and nut-free! Bread is definitely one of the things I miss most since starting on a gluten-free diet. 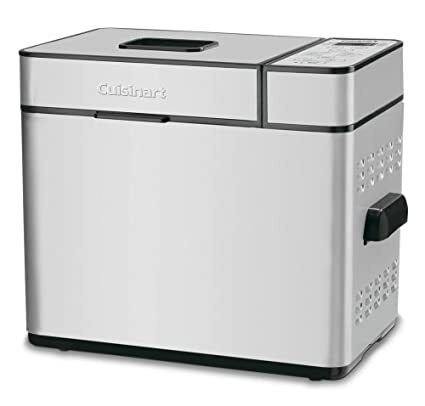 This bread machine makes it easier to bake bread so you can have delicious, gluten-free breads! Cooking gluten-free isn’t easy when you’re just getting started. So buy a gluten-free cookbook for your favorite gluten-free friend. This cookbook contains recipes that are easy to make and on the table in less than 30 minutes. We all know that sharing a toaster with your gluten-eating roommates or family members is a big no no for the gluten intolerant. Cross contamination is very easy when you’re putting your gluten-free bagel in the same toaster that browns your roommate’s waffle. 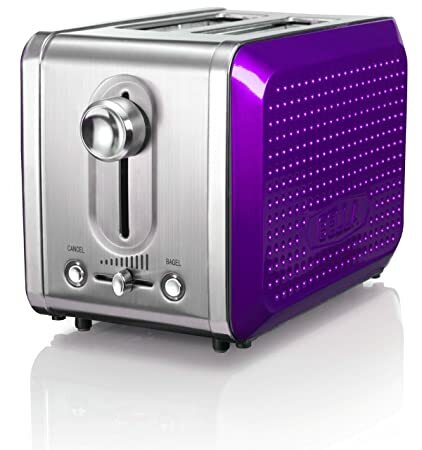 It’s best to get your own and what better way to do that by picking up a fun colored toaster in the universal allergy-free color of purple! Help a friend get a start on their gluten-free cooking with a cooking class! Classes teach you how to make a gluten-free meal while giving you tips and tricks along the way. Gluten-free cooking classes are also a great to bring your friends and family along to help them understand the gluten-free diet. 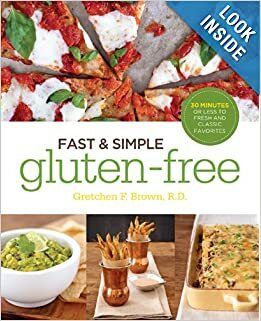 So this one is not necessarily for only the gluten-free individual, it’s really a great book for everyone. 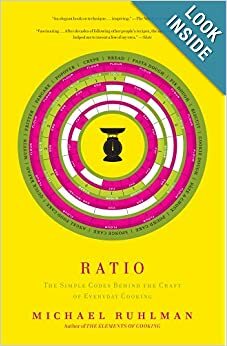 I just started reading this book and it tells you ratios for basic foods and why they work. As the book says “When you know a ratio, it ‘s not like knowing a single recipe, it’s instantly knowing a thousand.” Reading this book can help you be on your way to creating great tasting gluten-free breads, sauces, custards, doughs, and so much more.